A Friend's membership entitles you to attend exhibition previews, with the opportunity to meet visiting artists in a relaxed and friendly environment. 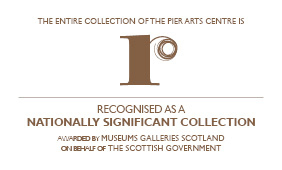 You will be entitled to a 10% discount on works purchased at selected events, and on Pier Arts Centre shop merchandise. Piergroup is a shifting and flexible collective of young people who participate in a programme that reflects their wide range of interests and talents. The group meets informally and is a forum for young people to meet, plan and take forward ideas for involvement in gallery activity. The Pier Arts Centre is committed to supporting artists and makers at all stages of their career. Formal and informal sessions and events offer support and advice as well as providing a platform for critical debate and increased awareness of professional art practice. The Pier Arts Centre has an active Volunteer programme that offers a wide range of opportunities to work in a variety of areas within the gallery’s exhibitions and education programmes. 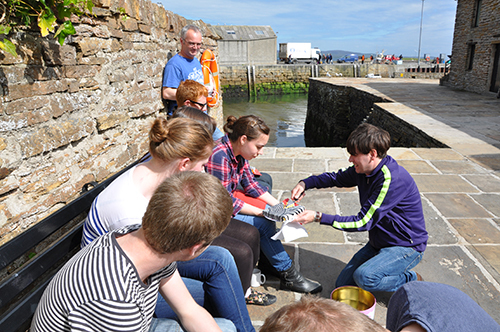 The Pier Arts Centre supports the formal education and academic sector both within and outwith Orkney, including local schools and Orkney College UHI. Workshops for pre-school pupils to post-doctoral seminars provide effective learning and teaching opportunities. Throughout the year a range of events and workshops support and complement the permanent collection and temporary exhibitions programme. Informal talks, workshops, events and activities for all ages and abilities are designed to inspire and encourage wider participation in the arts.